We, the Cornell Democrats, strive to use the Democratic Party and our voices on campus to fight for social and economic justice, and progressive ideals. President Isabelle De Brabanter '19 leading the Cornell Dems in a discussion. We recognize that not all Democrats are one and the same; while at the core we share a foundation of beliefs, we come from different backgrounds and hold a wide variety of opinions on all issues. No matter what party you are affiliated with, or whether you are affiliated with a party at all, we welcome you to join us for our weekly meetings to discuss current events, policies, or issues important to you. We also use our weekly meeting so plan events and participate in activism related activities. Check our Events Calendar to see what we have planned for each week. 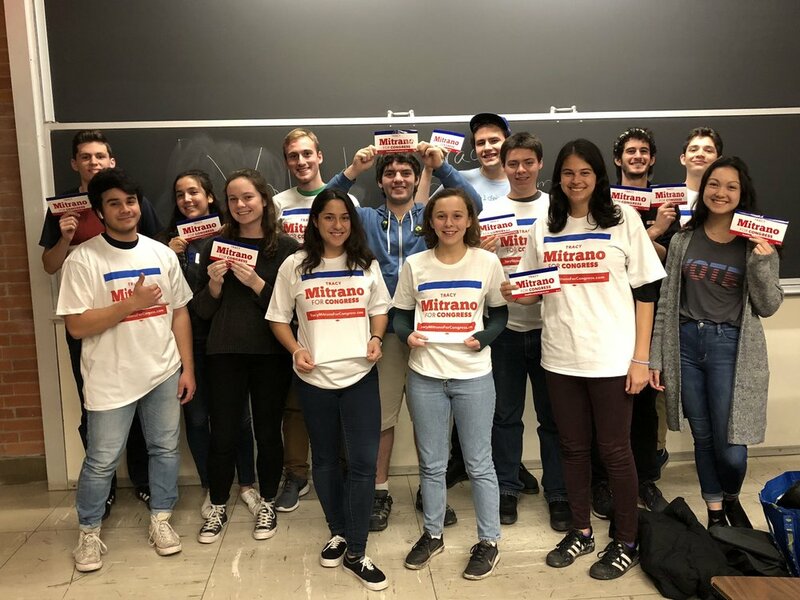 With the 2018 midterms, after hosting the democratic primary candidates for a debate in the spring of 2018, the Cornell Dems are out registering voters, phone banking, and working closely with democratic campaigns to push for a blue wave in November 2018. If you would like to get involved, please join our listserve! Cornell Dems help students register to vote. Trip to Scranton, PA to canvass for Hillary Clinton. 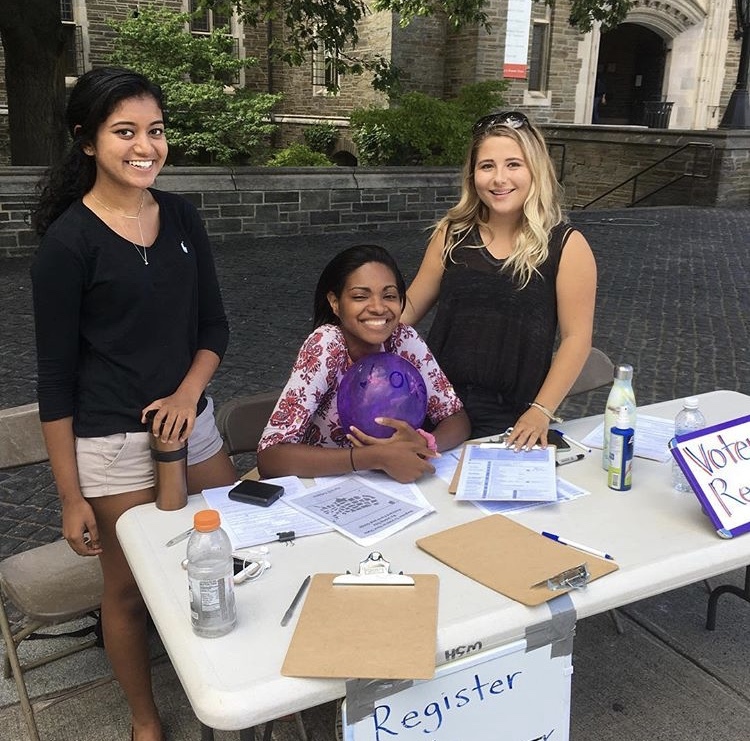 Cornell students register to vote. Along with majority of the country, the Cornell Democrats were extraordinarily disappointed with the results of the 2016 election. However, we were proud of our efforts in voter registration, canvassing, driving students the polls, and making calls. The Dems took to the streets of Ithaca to canvass for candidates Leslie Danks Burke for State Senate, Tom Plumb for Congress, and Secretary Hillary Clinton. Due to our extensive on-campus Get Out The Vote efforts, student voting increased 20% in the 2016 election. State Senate candidate Leslie Dank Burke speaking to the Cornell Dems about her campaign. The Cornell Dems and local candidate Leslie Danks Burke. The Cornell Democrats were honored to host Mayor Svante Myrick, Leslie Danks Burke, John Plumb, Assemblywoman Barbara Lifton, and Matt Van Houten for our United Dems Rally prior to the elections. With the election of President Donald Trump, and the islamophobic, racist, misogynistic, homophobic, ableist, transphobic language, actions, and policies that he has brought to the White House, the Cornell Democrats think making our voice heard is more essential than ever. 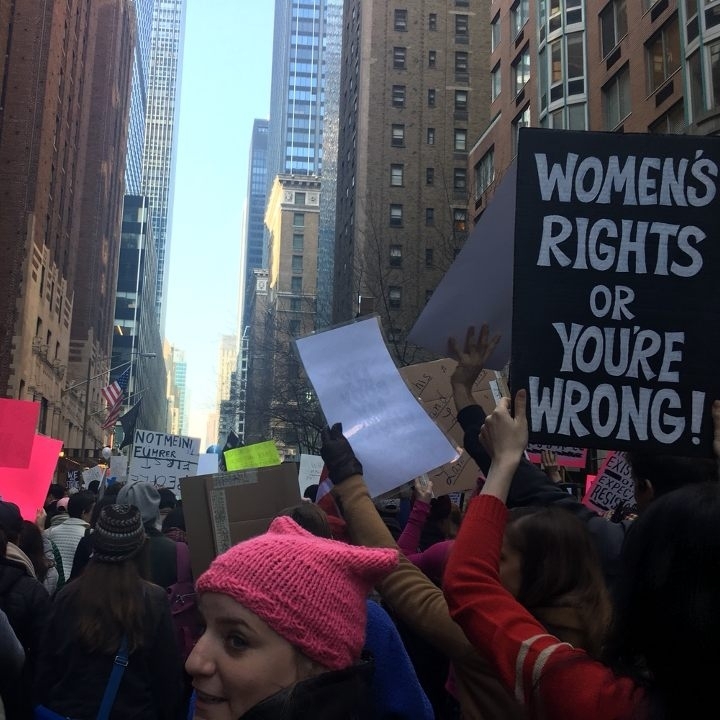 During the 2017 spring semester, the Cornell Dems shifted the club's focus towards activism, and will continue to do so in the coming year. 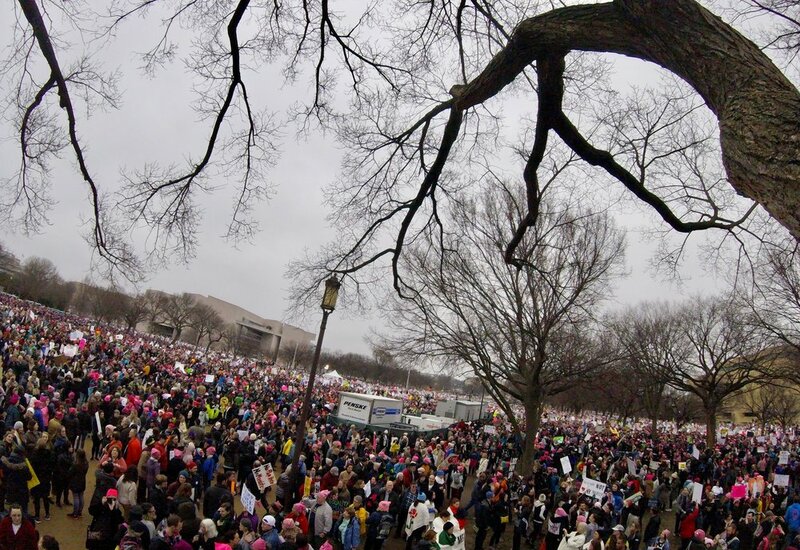 Members have been marching up a storm, calling our representatives consistently, writing letters to government officials, and working with other progressive organizations. If you would like to partner with us, please contact us. If you are looking for how to get active, check out our resources page. Kevin Kowalewski '17, Jaia Clingham-David '20, and Meghana Bharadwaj '20 debate Obama's legacy. We believe that discussion, communication, and active listening cultivates a better community environment and helps us understand one another. Each year, we host a debate with another political organization on campus. This year, we debated the Cornell Republicans on "Thanks Obama? Was Barack Obama a failed President?" Watch the video on our facebook page. Along with debates, the Cornell Dems engage with campus life by hosting lectures from professors, participating in Clubfest and other campus events. 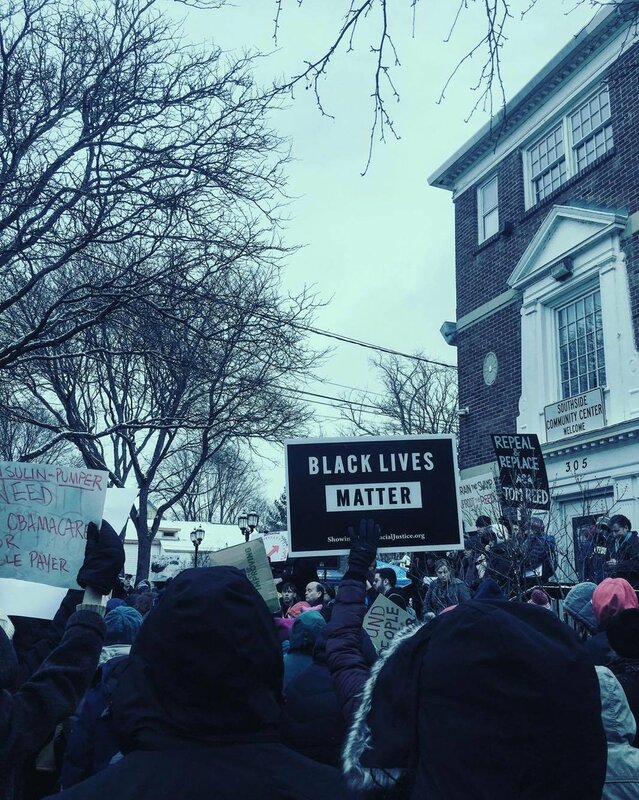 In the greater community of New York, the Cornell Democrats are a chapter of the College Democrats of New York. The Dems participated in CDNY's annual convention for Democratic college students in New York State. We also attended fundraisers for the statewide organization, and work closely with CDNY. The Cornell Dems were well represented at CDNY's convention at Binghamton University.